Hector Trujillo of Guatemala has become the first person to be sentenced in the ongoing United States probe into corruption inside FIFA. The 63-year-old has been sentenced to eight months in prison by Judge Pamela K Chen in a Federal court in Brooklyn. In June, Trujillo pleaded guilty to wire fraud and conspiracy, with the judge also ordering him to pay $415,000 in restitution. Trujillo was arrested in December 2015 in Florida, during a Disney cruise with his family. He spent more than a month in prison before he was freed on $4 million bail, with home confinement ordered. Trujillo is a former judge who once served as secretary general of the Guatemalan Football Federation. “While the defendant may not have played the largest role or pocketed the most money of all of the defendants in the case, his conduct nevertheless shows that he engaged in the same type of conduct as the rest of the corrupt soccer officials who have been charged,” prosecutors wrote, according to the Associated Press. The criminal probe in the US has largely centered on illicit television and marketing deals. The implicated officials are accused of taking millions of dollars of bribes from marketing firms in exchange for sponsorship and marketing deals for regional football tournaments and other matches. The investigation into corruption within FIFA in the US has seen a total of 42 officials and entities indicted. American authorities are involved as the money was allegedly channeled through the country using US banks. Earlier this month, the US Department of Justice announced the sentencing dates for several of those implicated in the scandal, which rocked FIFA to its core, who have pleaded guilty to charges such as money laundering and racketeering. Jeffrey Webb, the former Confederation of North, Central American and Caribbean Association Football (CONCACAF) President and former FIFA vice-president, is due to be sentenced on January 24. Webb, who is from the Cayman Islands, had initially pledged to clean up the corruption within CONCACAF when he took over from Alfredo Hawit before he became embroiled in the scandal. He pleaded guilty to one count of racketeering conspiracy, three counts of wire fraud conspiracy and three counts of money laundering conspiracy in November 2015. Hawit’s sentencing was initially scheduled for October 5 but has been pushed back to March by Judge Chen. 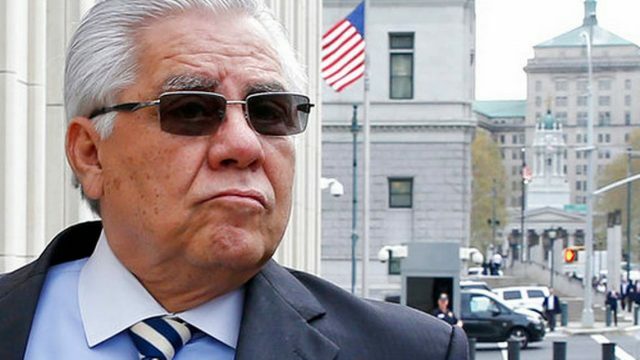 No reason has been given for the decision to move the hearing for the ex-FIFA vice-president. Rafael Callejas, who served as President of Honduras from 1990 to 1994, is set to learn his fate on December 15. Read the full list of scheduled hearings here. Previous articleNightengale: Teams Hit Eight Homers in World Series Game 2, are the Balls Juiced?